The gradual recognition of the impact that emissions from electric generating plants have had on climate has driven unprecedented changes in environmental policy and regulation, as well as the rapid development of renewable energy generation and demand response and energy efficiency programs. These technological changes are widely viewed as the most environmentally benign technologies available to satisfy existing and new demand for electricity. Responding to these changes—and the uncertainty about the nature and scope of future regulations—requires a thorough understanding of complex interactions across markets, the development of appropriate business and compliance strategies, and the accurate assessment of the costs and benefits of the deployment of these new energy supply technologies. Our experts possess more than 30 years of experience in the estimation of demand response and of customer choice regarding participation in demand response programs. One of our experts was instrumental in the design and implementation of many of the early two-part, real-time pricing programs in the United States. She led the analysis of the demand response for many of these programs, as well as the analysis of Pool Price Contracts in the early days of the UK competitive power market. The results of these analyses were used to integrate demand response into utility commitment and dispatch algorithms, to evaluate program impact, and to develop menus of products designed to transition to competition. More recent work has included assessing the need to update prior demand response analyses to account for changed technology, market structures, prices, and institutional imperatives; review of the status of advanced metering infrastructure in California, New York, and Ontario for the Australian regulatory body; and advice to the Electric Power Research Institute on the incorporation of demand response in risk management programs. For almost ten years, Bates White has conducted regulatory and economic due diligence of numerous shared wind and solar PV generation facilities in México. The projects typically serve hundreds of small businesses with diverse ownership, wheeling over the incumbent utility’s transmission and distribution systems. Over time, the government policies and regulations governing the economic incentives (subsidized transmission and virtual energy storage) and cost allocation to these projects have changed, requiring Bates White to properly represent their impact on the projects financial models. As independent economic, market and regulatory advisor to the investors or lenders to these projects Bates White has not only focused on verifying the model’s financial logic, flow and calculations, but has often interacted with the project’s engineers to ensure the technology’s performance is properly modeled in the calculation of expected revenue during operations and expected costs during operations. We combine deep economic and technical expertise with the necessary analytical rigor to provide clients with the ability to see the “big picture.” The selected engagements described below highlight the depth and breadth of our work, as well as our ability to apply state-of-the-art methodologies and analysis tools to the challenges of “greening” the energy sector. On behalf of the AIM Foundation, evaluated the benefit-cost assessment methodologies for energy efficiency programs in Massachusetts. Conducted detailed valuation analysis of Allegheny Hydro plants for New York State Electric & Gas Corporation in support of settlement negotiations with plant owners. Performed a market assessment of energy efficiency technologies and combined heat and power for industries in the California/Baja California cross-border region for the CEC. Developed a GIS-based project-siting methodology for utility-scale solar photovoltaic generation facilities. Testified before the New York Public Service Commission on the inadequacy of energy efficiency and demand-response programs as fully equivalent alternatives to a proposed 190-mile HVDC New York Regional Interconnect, Inc. transmission line. For a leading PV manufacturer, estimated and compared the levelized cost of electricity produced by thin-film solar photovoltaic and solar thermal parabolic trough generating facilities. On behalf of Union Fenosa, a major Spanish energy company, provided technical and regulatory advice regarding a 500-MW wind project in northern Baja California, México, on the technical, commercial, and regulatory aspects of interconnection and new transmission infrastructure for export to California. Modeled a utility’s inverted block rate structure and estimated electricity demand elasticities for various levels of customer income and electric end-use appliance holdings. On behalf of the National Biodiesel Board, conducted analyses of the economics of biodiesel production in the US, and evaluations of costs and benefits, including estimates of CO2 emissions reduction impacts. Retained by the Mississippi Public Utilities Staff to conduct a review of the Certificates of Public Convenience and Necessity Applications and the associated Power Purchase Agreements filed with respect to two solar generation projects in Mississippi in order to assess both the economics of the proposed projects and the risks that the generator and its ratepayers would be exposed to by entering into these agreements. Testified on behalf of the Virginia State Corporation Commission Staff about the use of Smart Meters in a utility Conservation Voltage Reduction (CVR) program designed to reduce electric distribution losses and to conserve energy at customer facilities. Conducted a valuation of a run-of-river hydroelectric facility under development in Mexico. The valuation considered the potential revenue from the sale of Clean Energy Certificates during the economic life of the project. Led the market and regulatory due diligence for the acquisition of a series of run-of-the-river mini-hydro generating facilities with an aggregate capacity of 122 MW in Colombia. For Macquarie Capital carried out electric power market price and regulatory risk analyses in support of the acquisition of the 396-MW Mareña Renovables wind farm project in Oaxaca, México. Carried out market, regulatory, and commercial due-diligence as independent market consultant to senior lenders in the financing of the 125-MW La Ventosa–Eléctrica del Valle de México wind farm in Oaxaca, México. A Bates White expert performed a market assessment of energy efficiency technologies and combined heat and power for industries in the California/Baja California cross-border region for the California Energy Commission. Serving as lead economic advisor to Korean IPPs on developing solar PV projects in the United States. 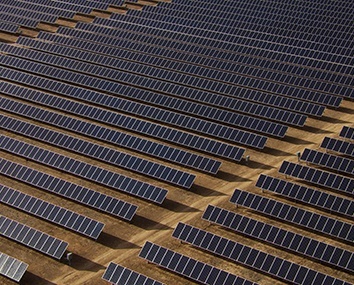 Provided consulting services to major Korean IPPs on forming solar project joint ventures, asset purchases and sales, land leases, permits, interconnections, power marketing, and PPA negotiations. Provided consulting services to major Korean conglomerates regarding the US solar market outlook and business development opportunities. Provided consulting services to California Energy Commission in developing the 33% renewable energy goals, market price referent, and feed-in tariff mechanism. Conducted portfolio analysis on behalf of Airtricity, EIB, and CEC, quantifying the benefits and costs of adding renewable generation into a conventional fossil fuel generation portfolio mix. Submitted a report to Airtricity related to the role of wind and other renewables in enhancing Ireland’s energy security and diversity. Submitted a report to Airtricity related to the estimation and valuation of portfolio instruments for Airtricity Scotland.